Throughout this year, Sarasota County staff will host a series of flood zone workshops at county libraries, the county has announced. The sessions are intended to educate residents, lenders, and insurance and real estate agents about flood risks, zones, maps, regulations and mandatory requirements for the purchase of insurance, a news release explains. 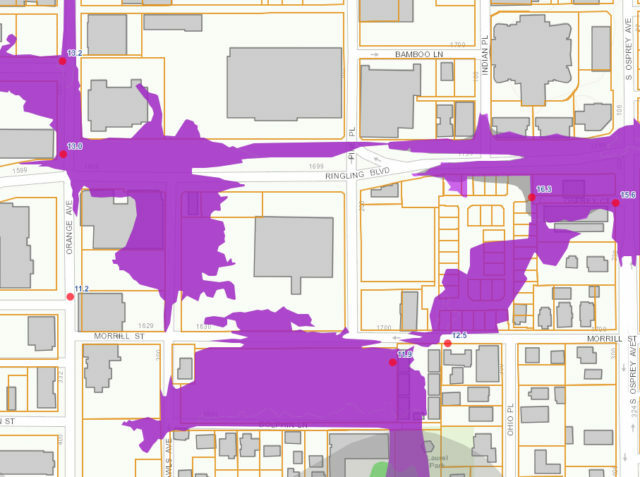 Attendees also will learn why flood zone maps are continuously updated, the release notes. Feb. 14 at Selby Library, located at 1331 First St. in Sarasota. Feb. 22 at Fruitville Library, located at 100 Coburn Road in Sarasota. March 2 at Elsie Quirk Library, located at 100 Dearborn St. in Englewood. March 14 at Jacaranda Library, located at 4143 Woodmere Park Blvd. in Venice. To see the full list of 2017 workshops or for more information, visit scgov.net/Floodprotection or call the Sarasota County Contact Center at 861-5000.